We also accept EPS as well as normal rigid PS #6." There! There is still an option for plastic # 6. If you would like to learn more about NextLife programs, you may contact Robert Dishman, executive vice-president, Global Supply Chain at 6800 Broken Sound Parkway, Suite 300 Boca Raton, Florida 33487. Recycling plastic containers in general can be quite a challenge for the variety of kinds there are. In the Tips on Recycling Plastic Containers Earth911 article, they list those kinds by identification number and stress one of the most important rules of recycling: "First, check with your local recycling program to know which types of plastics you can recycle in your bin or at a drop-off location." Recycling Styrofoam (i.e. #6 - PS Polystyrene) may be difficult and costly. In addition, some advise completely against its use because, as All Recycling Facts points out, "in its production process, a carcinogenic chemical known as benzene is used. Due to the presence of benzene in Styrofoam, it is inevitable that food in direct contact with the Styrofoam food packaging would be affected. This has been one of the main reasons why over 20 cities in the United States have banned the use of Styrofoam." In Brevard we still use Styrofoam and do not have any recycling programs that I know of that will take plastic #6. Publix, besides plastic bags (#2 and #4), clean ziploc bags (#4), and medicine bottles, takes clean foam egg cartons and vegetable trays, but no cups, plates, etc. And if you place plastic containers in the recycle bin of your curbside collection program, chances are they will end up in the landfill. That seems to be true for a lot of counties as not many places seem to recycle plastic #6 yet. But the trend tells us that change is on the way. Earth911 reports in its 2009 360: Recycling Plastic #6 article that "some cities and manufacturers are [...] initiating programs specifically geared toward polystyrene recycling, and its recycling rate continues to grow. According to a report by the Alliance of Foam Packaging Recyclers (AFPR), more than 65 million pounds of expanded polystyrene (EPS) packaging were recycled in 2007, while the number grew to 69 million pounds in 2008." The EPS Industry Alliance says on its recycling page that they "developed a nationwide collection infrastructure of more than 200 collection sites to support recycling efforts." There is a list of drop-off locations that includes Florida, but none in Brevard County. They have created a mail-in program "that allows virtually anyone with smaller quantities of foam packaging access to EPS recycling," but the closest location to Brevard residents as printed in their list of mail-back locations would be Georgia. In searching the internet, I came across APS Recycling which "provide[s] cost effective recycling solutions [...] to remove [...] plastic scrap so [businesses] are compliant with the environmental standards created by the Environmental Protection Agency." That sounds like a solution strictly for businesses, not individuals. I also came to read about Dart's recycling programs. 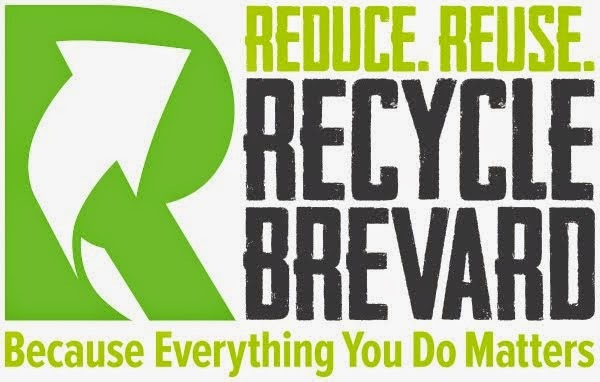 "Dart encourages the recycling of foam cups and foam foodservice products by offering three options: The CARE Program for large operators; Recycla-Pak, a mail-back recycling program for small operators; and drop-off locations for the general public throughout the United States." There are drop-off locations in Florida -- Deerfield Beach and Plant City -- but none in our area. As an alternative for Brevard residents on How to Get Rid of Styrofoam, I searched through 1-800-Recycling and found a couple of companies listed as recyclers of various types of plastic that I called to check: East Coast Paper Stock in Rockledge - (321) 636-1741, which will accept rigid plastics (like buckets, toys, etc.) but no #6; Progressive Recycling in Cocoa - (321) 632-6341, which only recycle plastic bottles. The only other way of recycling #6 that I found is through a mail-in program listed at Earth911. It is called Nextlife and it takes plastic #6. The contact information listed is 2001 ﻿Leestown Road Frankfort, KY 40601 - (561) 245-2592 for Robert Dishman (robert.dishman@nextlife.com). I sent him an email to learn more about the program and will report back once I hear from him. Yes we do have a mail in recycling program for #6 plastics. We may also suggest contacting your local recycling company to utilize NextLife as the end market in your municipality. We also accept EPS as well as normal rigid PS #6.